Since I missed Fabric Friday, I want to share a few of my newest precuts with you on Showcase Saturday! Cheezy, yes I know, but what can I say, I love alliteration! 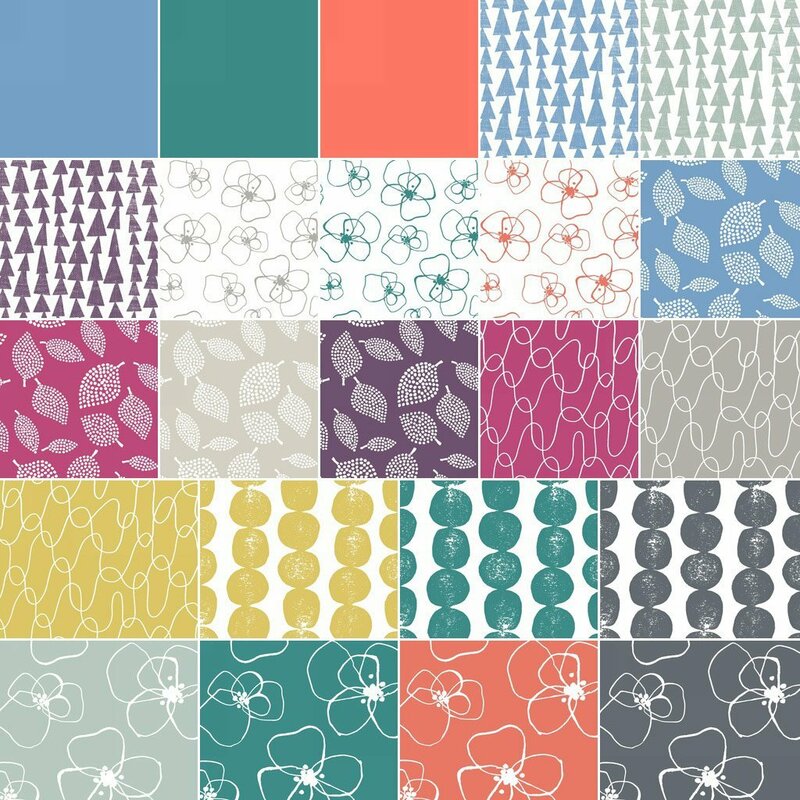 Mormor by Lotta Jansdotter is an ecletic mix of colorful modern florals and geometrics. The bundle includes 20 prints and 3 solids in shades of eggplant, coral, grey, teal, blue, and citron. I’ve recently become a fan of Sarah Fielke and her whimsical, colorful style. 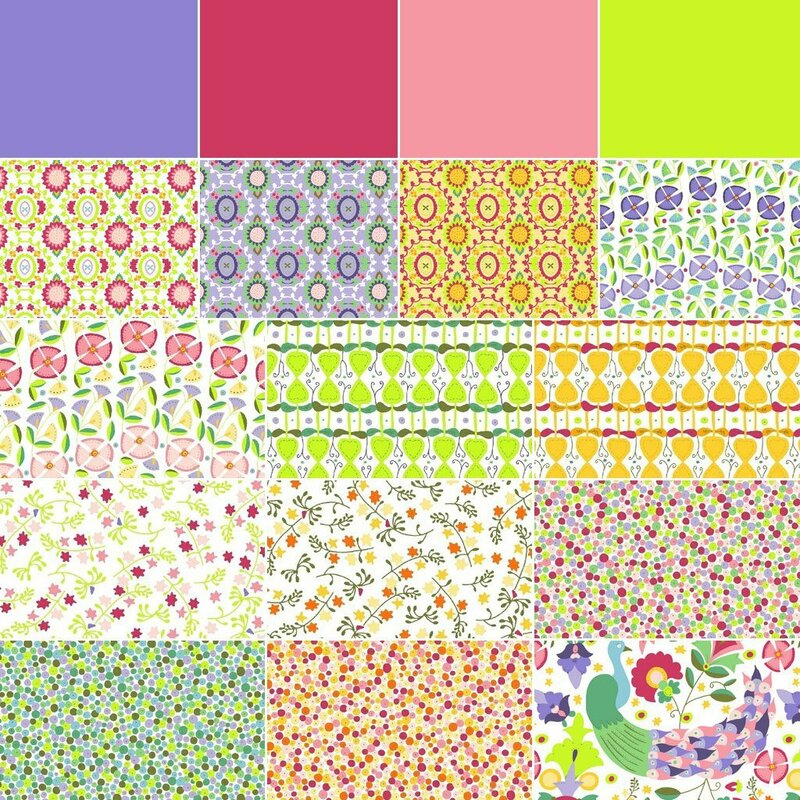 Enchanted is a 17 piece bundle that includes 13 prints and 4 solids. Don’t you just love that peacock print? The story of Emma and Bobby deciding what to play is the subject of this delightful collection of storybook prints. 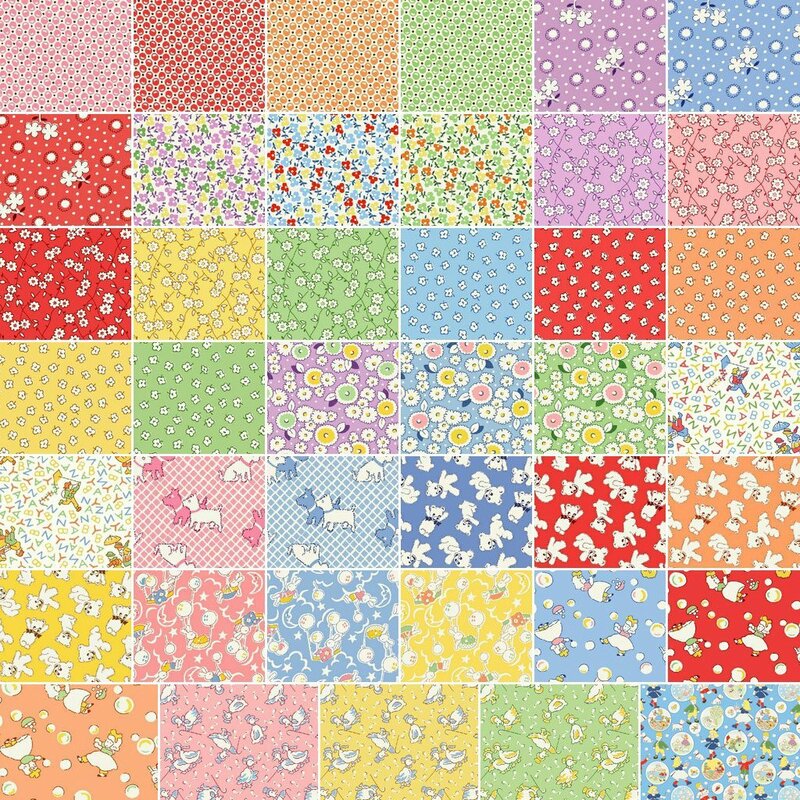 With classic 30’s colors and inspired playful images of bears, ducks, dolls and other toys, plus beautiful florals, Storybook Playtime by Whistler Studios is sure to inspire your next retro quilt. Click here to see all Windham Fat Quarter Bundles. Enjoy the eye candy! !